We couldn't help ourselves when we saw the Sweeper Arm at the manufacturers launch event and placed our order there and then. 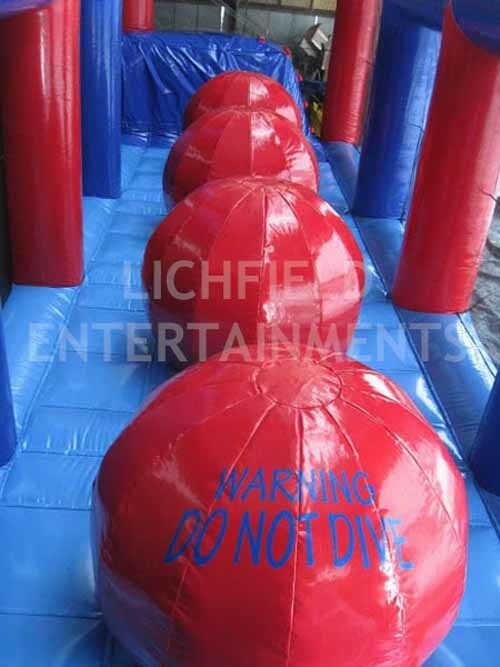 Well one thing leads to another and our latest addition to our range is the perfect accompanying game - Big Jumping Balls!. 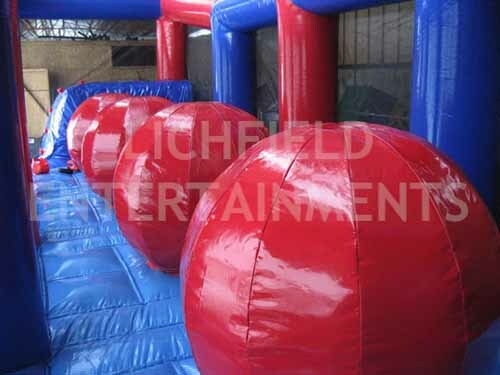 Climb up to the 'launching platform then try and bounce your way across the four giant inflatable balls to the other side. Do you take your time steadying yourself after each jump or do you go for the mad dash across? A brilliant game to accompany the Big Balls Jump is our brilliant Last Man Standing Sweeper Arm Game. 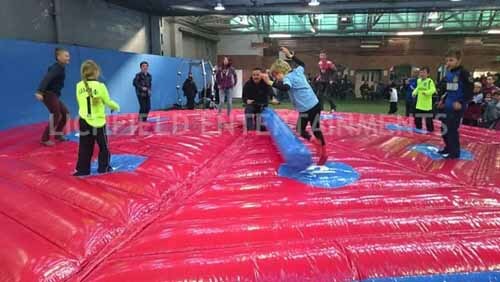 The game requires an overall operating space of 50x20ft with a height clearance of 16ft if the event is being held indoors. Due to the size and weight of this game full vehicle access is required right up to where it's being set-up. This game is supplied with one of our friendly staff members who will run the game for you and ensure its safe use. 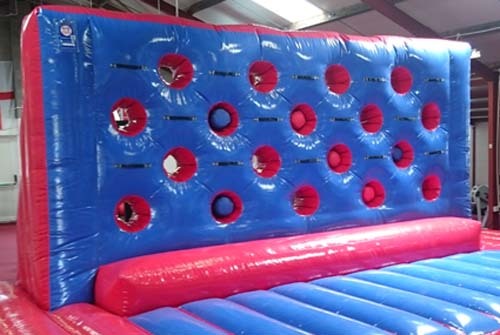 If you have any queries, questions, or would like to hire the Jumping Balls game for your event please call us on the number below or click to enquiry and we will do all we can to help. Click here to see our brilliant Sweeper Arm and the Sucker Punch Challenge that both go perfectly with the Big Jumping Balls game.